As I often tell my colleagues at PCGN – to their consistent interest – Destiny’s lore is pretty great, actually. And it turns out there’s an English student somewhere who appreciates stories of Ahamkara and Sword Logic enough to try to pass them as his own. 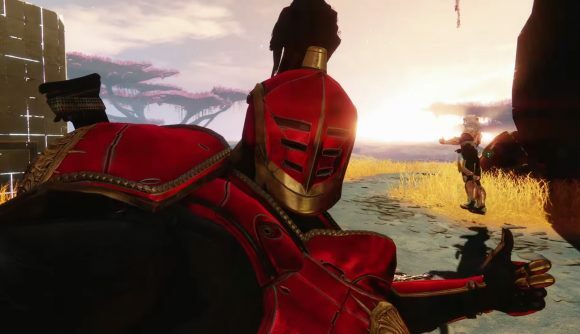 The bold act of plagiarism was rumbled by the student’s teacher, who sent an email to Destiny lore site the Ishtar Collective. If you’d like to learn more about Destiny’s poorly-communicated but rich and inventive backstory of dark sci-fi, that’s the place to go – it’s a compilation of thousands of Destiny lore cards and notes, plus a forum of theorycrafters discussing their implications. The Ishtar Collective did the only responsible thing an internet entity would and leaned into the memetic potential, renaming itself ‘Lucas’ and retweeting a follower who put the audacious student’s name on Richard Dawkins’s T-Shirt. We may be witnessing the birth of a new meme. To catch up with everything going on in Destiny right now, here’s our Destiny 2 update tracker. We’re in the middle of the Season of the Drifter, which has seen the game’s first permanent story choice and the return of a sinister old Exotic weapon. It’s all happening.